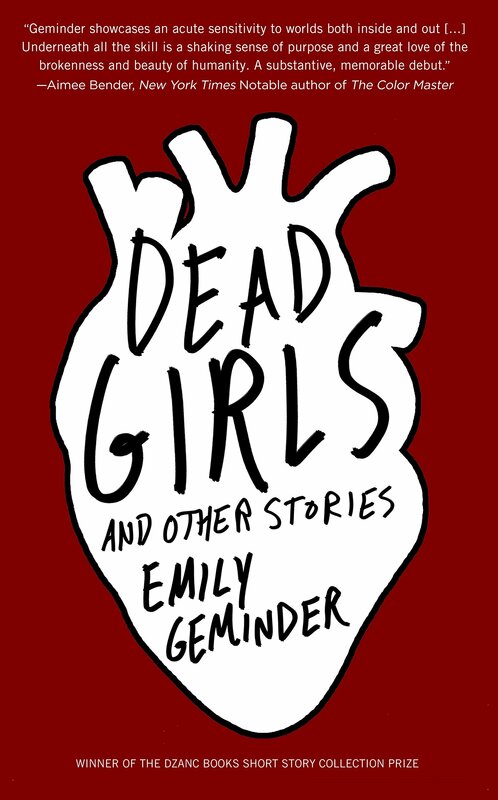 While reading Emily Geminder’s Dead Girls and Other Stories, one word kept coming back to me, again and again: desperation. Geminder’s characters embody desperation; they are the definition of desperation. From Lane in “Houses” to the girls of “1-800-FAT GIRL” to the narrators of “Coming To” and “Phnom Penh,” every character speaks with a sense of quiet urgency—perhaps not an immediate urgency, but an existential one, an emotional urgency that threatens their very selves. We called to report gossip. We called to ask what kind of mood he was in. At bars, we sat on the same stool, then shouted that we were not the same person. But can I just point out that you’re sitting on top of each other right now? We debated the coming coup, jumped at dark spots scuttling across the floor. We fell in love with the ones who shouted most. The dead girl understood. These are girls who have come to a foreign country to work in the news industry, to replace a girl who was killed. They are out of their elements and overcompensating. They are desperate to find comfort so far from home. The repetition of “we [verb]” to begin sentences builds a passionate litany with an energy that grows and grows without real traditional release. We are six. We know that there’s a body and the body is her father. But how the body is her father is harder to say. He’s become a dark spot hovering just above our eyelids, a presence that tilts the whole room. We move through it like we would a funhouse, not knowing what’s real—everything swollen and overwrought, red velour everywhere grown-ups stiff as wax. The room is described, feeling both hot and (emotionally) cold. The father’s presence is described. These two descriptions connect to make a terrifying and, in some ways, exhilarating scene for the speaker and her cousin, who are both eight years old. And of course, the presence of bodies in the stories creates a desperation to live for the characters who survive. Villagers are bombed in “Your Village Has Been Bombed” and yet the citizens continue to live their lives. A father has died in “Coming To,” and now the family and friends must learn how to live without him. A young woman with anxiety issues signs up for a “four-day anatomy workshop” and encounters dead bodies in the title story. These encounters with death enrich the characters, break them down, rebuild them. Death is the ultimate struggle, and it hangs over every word of this collection.